Since 1970 Mount Dora Boating Center & Marina has provided boaters with top notch customer service. See what our customers and manufactures have to say about the crew at Mount Dora Boating Center! 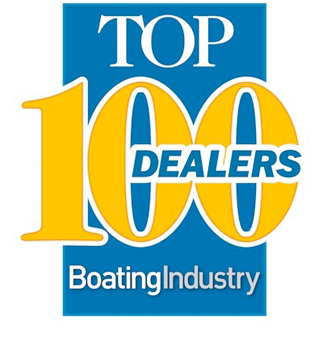 The Marine Industry's top honor, Boating Industry Magazines Top 100 Dealers. We want to hear your opinion too! Good or bad, let us know how we’re taking care of your boating needs. Been doing business with these folks for over 14 years, family run, customer satisfaction driven. My wife and I have purchased a number of boats from Joe and Jason and have never had an issue with service after the sale. Highly recommended. Been in business for myself for many years and recognize a well-run company when I see one. Mount Dora Boating Center is a fabulous collection of people,products and service. Joe and the entire team try hard to be the best of what we could expect and stand behind what they sell and what they say. I would recommend Mount Dora Boating Center to anyone who loves boating or think they might. Whether you’re buying a boat there or just spending your time in Florida looking for a fun destination you can find both at MDBC.